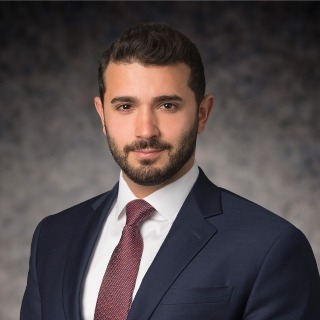 Robby Naoufal is a litigation associate in the Washington, D.C. office of Hughes Hubbard & Reed LLP. As part of the Litigation, Securities Enforcement, and Anti-Corruption & Internal Investigations practice groups, Robby represents clients in connection with securities litigation and investigations, including in the context of class action and derivative suits, M&A stockholder rights litigation, as well as formal U.S. Securities & Exchange Commission and NYSE Regulation inquiries. Robby is also experienced in conducting anti-corruption and fraud investigations on behalf of multinational companies involving the U.S. Foreign Corrupt Practices Act, U.K. Bribery Act, and French Sapin II law. In handling such matters, Robby conducts compliance interviews with commercial partners throughout the globe and performs enhanced due diligence for high-risk industries and regions. Representation of a multinational “supermajor” oil and gas company in connection with a worldwide risk-assessment and compliance audit, in coordination with a compliance monitor. Representation of a hedge fund and its founder in an administrative proceeding against the U.S. Securities and Exchange Commission alleging fraud and violations of the Exchange Act.